This set makes a wonderful gift! for any occasion and any day. They are also great as favors! Consider a teapot go with the glasses. Hand wash only with water and soap. No scrubbing. Do not wash in dish washer. Save when you order multiple sets. Shipping will be adjusted based zip code when your order is received and printed. 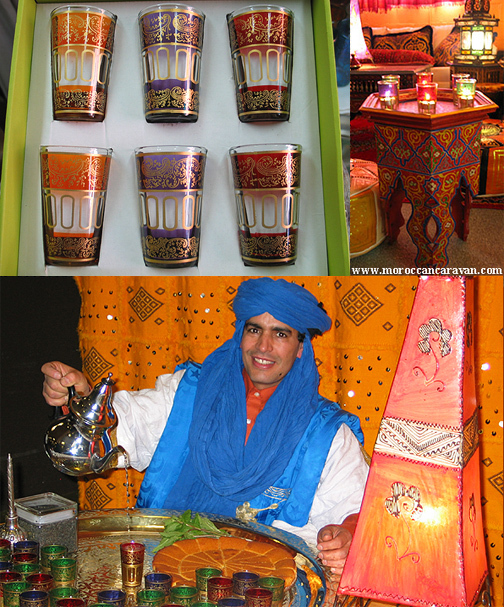 Check out our culture & recipes page for a free Moroccan tea recipe. Please contact us if you need larger quantity of tea glasses than the quantity shown below.